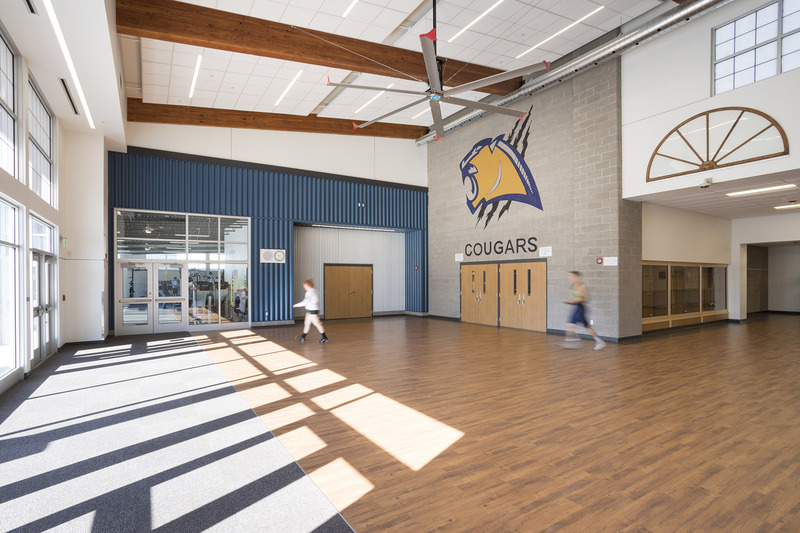 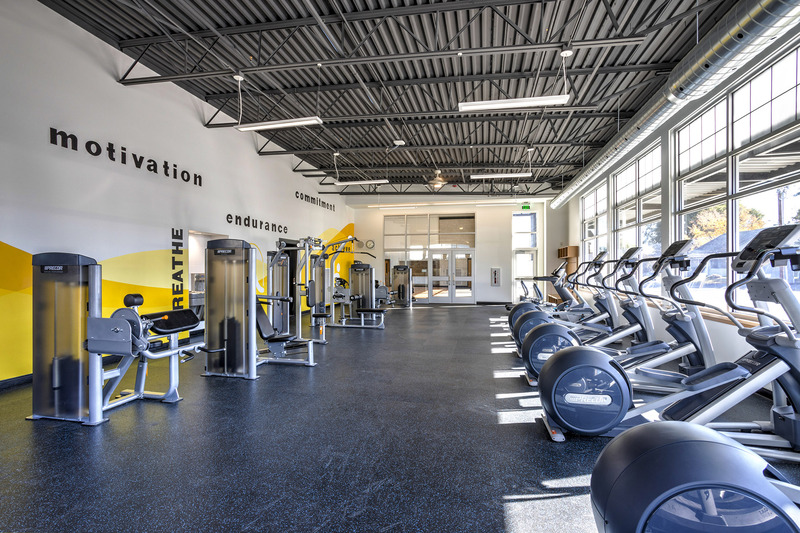 This project involved the addition of a 9,305 sf performance gymnasium, 6 classrooms, metal & wood shop and community room along with a new 2,266 sf fitness center. 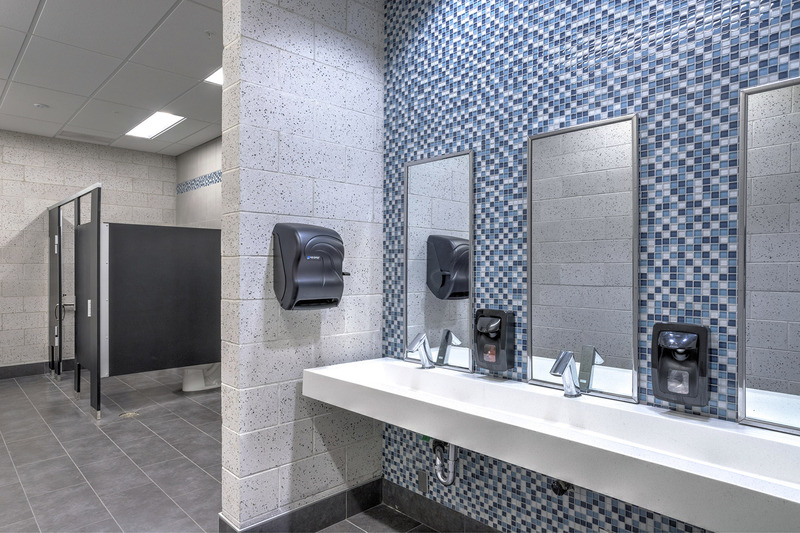 A total of 29,078 sf was added to their existing K-12 facility. 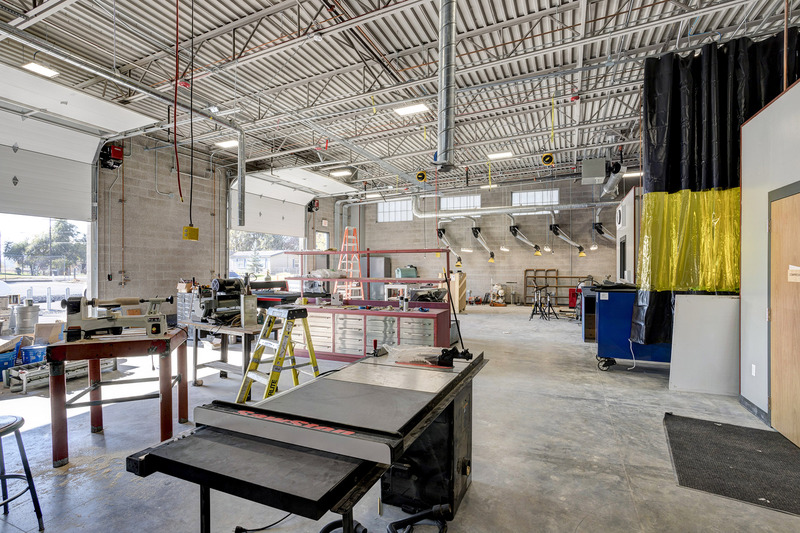 The classrooms consist of 3 general, art, ag, science lab and prep room. 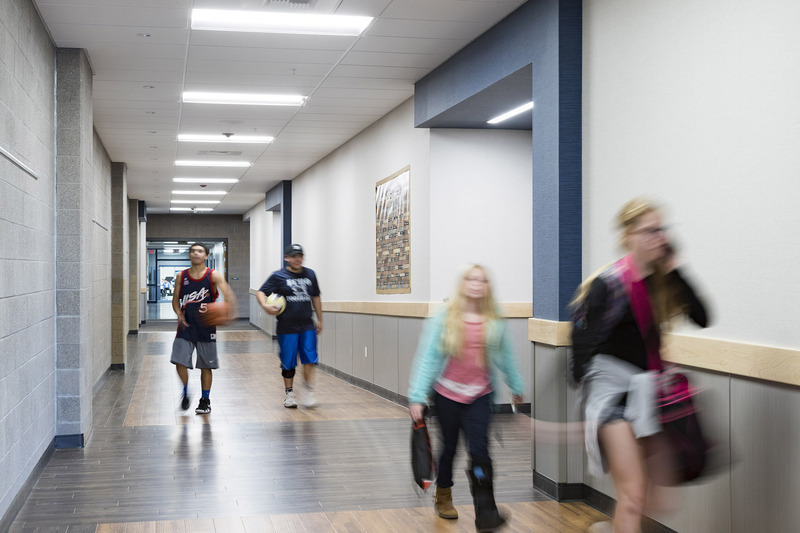 In the gymnasium, the telescoping bleachers have a capacity of 560 which is just shy of the total population of their city at 706. 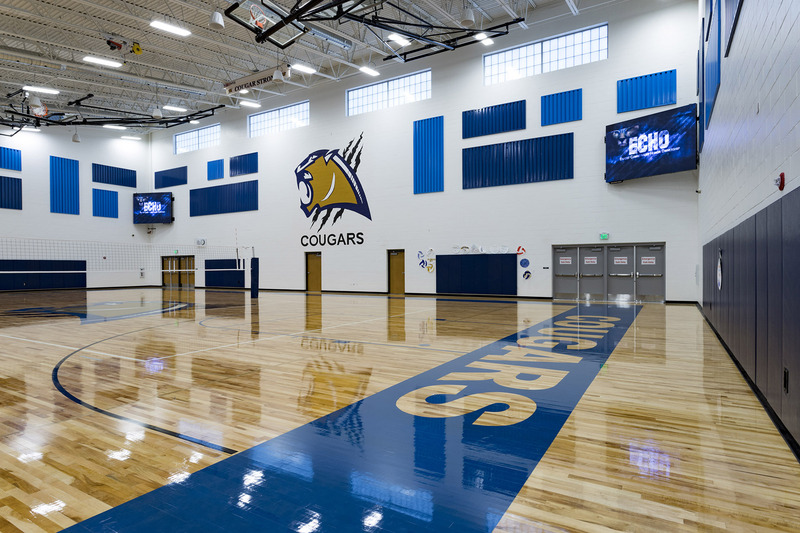 Court configurations include 1 main basketball, 2 practice basketball, 1 main volleyball, and 2 practice volleyball. 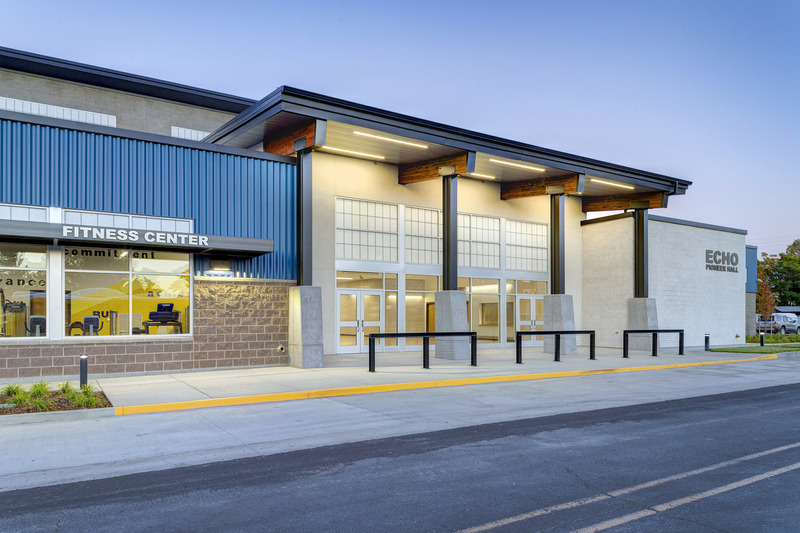 Site elements include a new parking lot by the metal and wood shop, a drop-off/ pick-up zone by the community room and new ADA parking stalls.